GMA News TV and White Lion's TV partner for Happy Life, a new travel show on a Sunday morning to watch out. The show aims to transport televiewers to the beautiful sights and sounds, delicious native cuisines, local culture and traditions. It also encourages others to pay it forward by helping and initiating projects for the poor and the less privileged in the form of livelihood projects or community sharing acts. Director/Actor Eric Quizon directs the show and serves as a tour guide, bringing everyone to places that need attention both by adventure-seekers and those who want to help others. The show hosts by Bea Santiago, MJ Lastimosa, Jamie Herrell, Giulia Zahar, Sophie Rankin and Anthea Murfet. 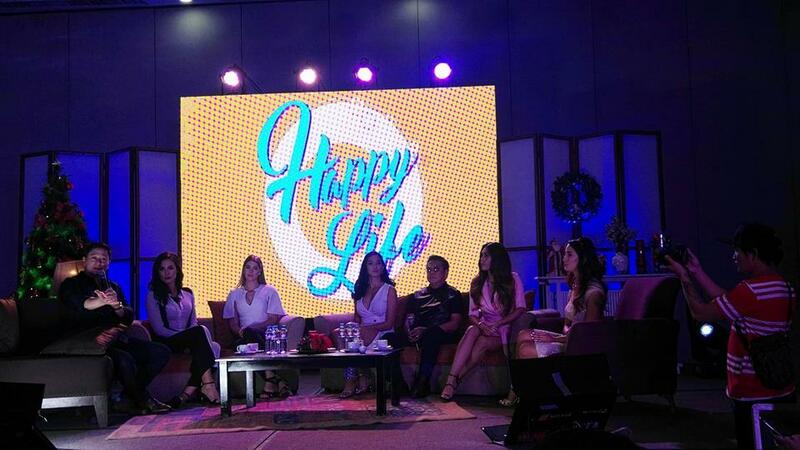 Happy Life was recently launched to the media at Gloria Maris Greenhills on Nov 30. The launch was hosted by Happy Life Actor-Director Eric Quizon . 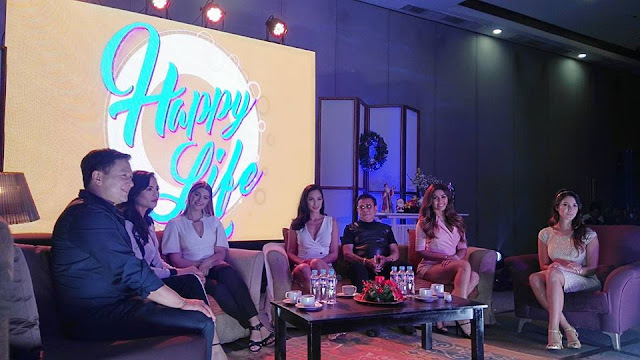 The event was attended by Councilor Chavit Singson, Happy Life hosts Bea Santiago, MJ Lastimosa, Jamie Herrell, Giulia Zahar, Sophie Rankin, Anthea Murfet, Alice Dixon, Theresa Loyzaga and media. Spearheaded by White Lion Media Productions, Inc, Happy Life is a new Sunday morning special to watch for, with its light, stylish take on seriously important matters such as encouraging others to pay it forward and initiating projects to benefit the less privileged, either in the form of livelihood projects, shelter-building initiatives, or community sharing acts. Most travel shows capture the beauty and significance of places and people while enjoying the experience on and off camera. A new travel show, Happy Life certainly has it, and more. 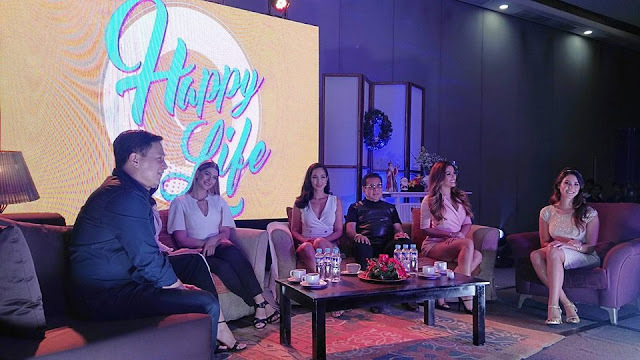 Set to air its pilot episode on December 11, Sunday at 9:30 am on GMA News TV, Happy Life takes the joy of traveling and celebrating life along with the sense of extending help to others in need. In this case, the people it meets during its travels and out-of-town visits. it is traveling with and for a cause. Hosts Bea Santiago, MJ Lastimosa, Jamie Herrell, Giulia Zahar, Sophie Rankin, and Anthea Murfet -a classy group of ladies owing to their allure and intelligence as beauty queens and models -will take viewers to interesting places around the Philippines all in the name of fun and sharing. Needless to say, the show implies that altruism is really the way to a happy life on top of the joys of traveling. So, sit back, relax and open your heart. Happy Life is here to touch down destinations and touch people's hearts.